WACO, Texas—Water, taxes and transportation are priority issues for Texas farmers and ranchers as the 2012 Texas Farm Bureau (TFB) Resolutions Committee convened Nov. 5-7 in Waco. The committee reviewed and submitted policy recommendations for TFB voting delegates to consider during the organization's 79th Annual Meeting Dec. 1-3 in Waco. 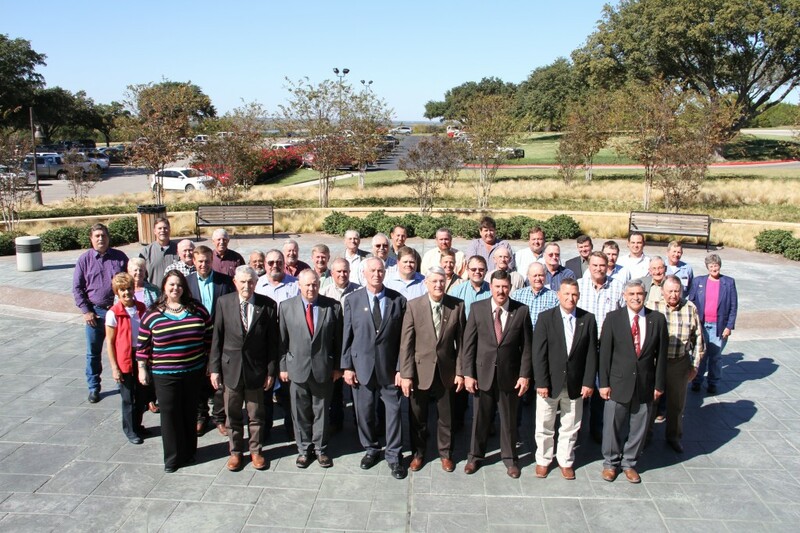 More than 300 policy resolutions were proposed by county Farm Bureaus to be considered by the committee of 41 TFB members representing all segments of Texas agriculture. As Texans continue to recover from last year’s devastating drought, the state’s leaders have placed a significant emphasis on water planning and funding. The committee passed a resolution that supports a dedicated source of revenue to fund the state’s share of infrastructure projects in the Texas State Water Plan. The top national issue of concern was the farm bill, and farmers’ inability to prepare for the years ahead without solid, predictable policies. The committee passed a resolution in support of requiring future farm bills to be passed prior to the expiration of the existing law. Additional resolutions proposed changes to the organization's policies on transportation, federal farm programs and specific commodity programs. Resolutions adopted at the TFB annual meeting become policies that guide the organization throughout the coming year. National resolutions, if passed by voting delegates at the TFB annual meeting, will be sent to the American Farm Bureau Federation (AFBF) annual meeting for consideration. Resolutions approved by AFBF delegates at the annual meeting in January will provide a roadmap for the national organization in 2013. The 2012 TFB Resolutions Committee convened Nov. 5-7 in Waco to review proposed policy changes from county Farm Bureaus across the state. Row 1 (left to right): Joy Davis, Young Farmer & Rancher Committee chair; Raymond Meyer, District 10 state director; David Stubblefield, District 6 state director; Kenneth Dierschke, TFB president; Dewey Hukill, TFB vice president and Resolutions Committee chair; Russell Boening, TFB secretary-treasurer; Charles Ray Huddleston, District 4 state director; and Richard Cortese, District 8 state director. Row 2 (left to right): Linda Williams, Moore CFB; Dean Greene, Hansford CFB; A.E. “Fred” Pronger III, Sherman CFB; Jay Johnson, Swisher CFB; Bryan Curry, Hale CFB; Mark Daniel, Baylor CFB; Jerry Cox, Wise CFB; Randy Watson, Grayson CFB; and Kenneth Murray, Navarro CFB. Row 3 (left to right): Suzanne Walker, Delta CFB; C.W. Forsyth, Titus CFB; Henry Woodley, Harrison CFB; Gary Speck, Concho CFB; Mike Moates, Howard CFB; Les Hartman, Llano CFB; W.J. Hopper, Mills CFB; Windell Treadway, Eastland CFB; Michael Welch, Bell CFB; and Robert Cervenka, McLennan CFB. Row 4 (left to right): Bill Bergman, Polk CFB; Ted Britton, Anderson CFB; Terry Chandler, Nacogdoches CFB; Clarence “Buddy” Earles, Webb CFB; Thomas Boehme, Medina CFB; Tim Lapham, Austin CFB; Robby Reed, Matagorda CFB; Marv Ulbricht, Colorado CFB; Sam Nunley, Calhoun CFB; Jason Peeler, Wilson CFB; Harriet Lamm, Live Oak CFB; Grant Odom, Hidalgo CFB; and Lloyd “Bubba” Stewart, Live Oak CFB.